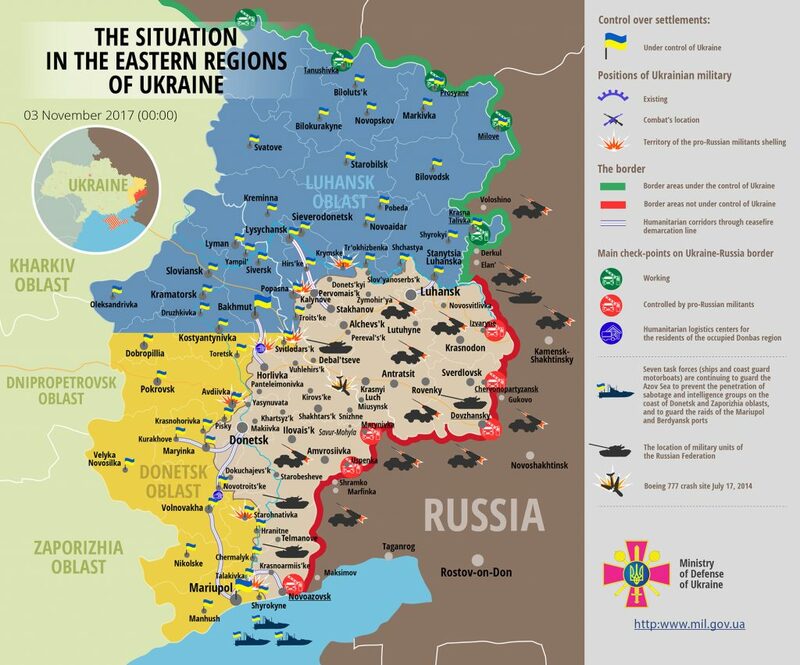 Militants attacked 16 times in the ATO zone yesterday, using aimed fire 15 times. No Ukrainian troops were killed in action. “One soldier was wounded in a shelling against our positions near Kamianka. He was urgently evacuated to Pokrovsk medical hospital. His injuries are not life threatening and all necessary medical aid is being provided,” informed Ministry of Defense spokesman on ATO-related issues Colonel Andriy Lysenko at a press briefing at Ukraine Crisis Media Center. In Luhansk sector militants violated the ceasefire six times. Five attacks were recorded near Krymske. “The enemy conducted intense fire involving small arms, large machine guns and grenade launchers from the morning till late night, making small recesses. Moreover, an aimed attack took place in the vicinity of Novooleksandrivka,” elaborated Col. Lysenko. In Donetsk sector Russia-backed militants opened fire mostly during the hours of darkness. They used large machine guns, mounted grenade launchers and small arms twice to conduct attacks in the vicinity of Kamianka, Avdiivka and Luhanske. Moreover, militants shelled Ukrainian troops’ positions near Zaitseve and Shakhta Butovka. “The longest attack took place near Avdiivka where our fighters had to suppress hostile fire for almost three hours,” said Col. Lysenko. In Mariupol sector militants violated the ceasefire twice in Lebedynske and Starohnativka. “The enemy used Minsk proscribed weapons in this area. For instance, Russian proxies targeted Ukrainian troops’ harbor with four 120-mm round in the middle of the day. The enemy attacked our troops near Lebedynske using large machine guns, mounted and hand-held grenade launchers. Ukrainian troops returned fire using various grenade launchers,” informed the spokesman. Report on the military developments as of November 2 is available here. Interactive data on the shelling: chronology shelling chart and the interactive map.